Last week, thousands of Realtors trekked to the nation’s capital to lobby Congress and make internal budget and policy decisions at the Realtors Legislative Meetings and Trade Expo in Washington, D.C. This time, the conference more commonly known as “Midyear” to differentiate it from the National Association of Realtors’ annual conference each November, came with a dramatic buildup as controversy erupted over the trade group’s proposed dues increases. Read on to see how the polemic played out and the federal issues Realtors focused on both inside and outside the event’s walls. The Realtors Legislative Meetings and Trade Expo, a.k.a “Midyear,” kicked off, and members finally had the chance to vote on the controversial dues hikes the organization proposed earlier this year — the first dues increases since 2012. In order to cover a $35.5 million increase in spending for political advocacy, a transaction management platform and other initiatives, NAR leadership proposed a $30 hike in annual dues in 2019 to bring the total dues owed by members from $120 to $150 total. Furthermore, the trade group proposed 2.5 percent year-over-year increases beginning in 2020. As thousands of Realtors flocked to the nation’s capital for NAR’s midyear conference, there was an array of topics on each attendee’s mind. Inman was on the scene all week chatting with Realtors about the issues that are most important to the industry, including the unpopular dues hike. The Fair Housing Act, which celebrates its 50th anniversary this year, was set to be a keystone discussion point all week. The conference included a Wednesday speech from U.S. Housing and Urban Development (HUD) Secretary Ben Carson. 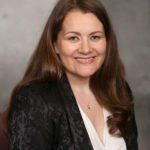 That’s according to Melanie Wyne, the National Association of Realtors’ senior policy representative who spoke at the Council of Multiple Listing Services (CMLS) Brings It To The Table event Tuesday, held in conjunction with NAR’s annual week-long midyear conference. After a flurry of controversy and debate in the days and weeks leading up to the conference, NAR President Elizabeth Mendenhall opened the event with a call for unity among Realtors ahead of the NAR board of directors’ vote on proposed dues increases. She urged NAR members to take charge of decision-making at the organization through their representatives on the NAR board. NAR lays out federal policy goals at midyear conference in D.C.
HUD Secretary Ben Carson on Wednesday took a shot across the bow at emotional support animals, reaffirming a partial ban on certain unconventional pets — and the questionable online certificates used to register them — across 1.3 million public housing units nationwide. Carson also said that a plan to create a federal program that combines mortgage payments with student loan debt, first floated last summer, is still in the very early stages of development at HUD. Under the preliminary plan, the program would involve one low-interest payment to help spark homeownership among millennials. Carson first introduced the program last summer, according to HousingWire, but provided scant details when he brought the subject up again. As the NAR board of directors geared up to vote on proposed dues increases, the trade group’s chief attorney reminded its members who the directors owe fiduciary duty to: NAR. 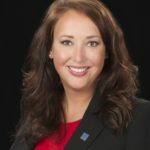 At a meeting of the organization’s Association Executives Committee on Wednesday, NAR General Counsel Katie Johnson noted that on Saturday, when the 800-member board would meet, she would, as usual, relay to the directors what their fiduciary duty is. “It’s important, and it’s the same message whether it’s dues, whether it’s MLS or whether it’s about fair housing policy: every director has to vote their conscience as to what is in the best interests of NAR,” Johnson said at the meeting. NAR Chief Lobbyist Jerry Giovaniello, a 37-year veteran of the organization who became its top government liaison in 2001, will retire at the end of the year, he announced Wednesday. 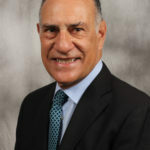 In his lengthy career at NAR, Giovaniello has been at the center of advocating for major legislative accomplishments, including: fighting a flat tax proposal in the 1990s, securing the continuation of the National Flood Insurance Program and pushing Congress to pass mortgage debt relief and a first-time homebuyer tax credit after the financial crisis. NAR Treasurer Tom Riley announced Thursday that the trade group would not hold a vote this year on whether to raise dues for members by 2.5 percent annually starting in 2020, but would still consider a $30 increase in 2019. Leadership had a lengthy conversation about the 2.5 percent annual increases Thursday morning at the midyear conference, but ultimately had concerns regarding the verbiage and whether it would violate NAR’s constitution, according to Riley. “The 2.5 percent was to maintain sustainability in the long run for the organization,” Riley said at NAR’s Treasurer Budget Forum at the conference, adding that the proposal would likely return in the future. NAR has never given transaction management firms other that zipLogix — a firm the trade group partially owns — a chance to compete for its business through price or any other means, according to three of the most popular such firms in the industry. Instanet, Zillow Group (owner of dotloop) and Form Simplicity all told Inman that NAR has never asked for pricing or other information as part of a request-for-proposal (RFP) process for NAR, neither when zipLogix was first chosen as the provider of a transaction management benefit for NAR members in 2015, nor more recently as the association gears up to ask its board of directors tomorrow to continue paying for the benefit through a dues increase. In an RFP process, an organization will typically ask companies to bid for its business. When DocuSign went public last month, the National Association of Realtors got a $20 million piece of that pie, according to NAR CEO Bob Goldberg. 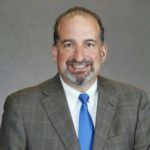 Goldberg is also the president of Second Century Ventures, NAR’s venture capital arm and an investor in electronic signature provider DocuSign before its initial public offering. He, along with NAR’s leadership team and other staffers, spoke at the Treasurer Budget Forum at NAR’s midyear conference on Thursday. SCV, a wholly-owned subsidiary of NAR, got $43.8 million for selling 28 percent of its DocuSign shares in the IPO, after initially investing $5 million, NAR First Vice President Vince Malta said at the forum. Of that $43.8 million, the SCV board of directors voted for a dividend back to NAR of $20 million, Goldberg said. NAR Treasurer Tom Riley noted that the initial capital investment by NAR to SCV — a line of credit — was $20 million, and therefore, SCV has now paid that back in full. 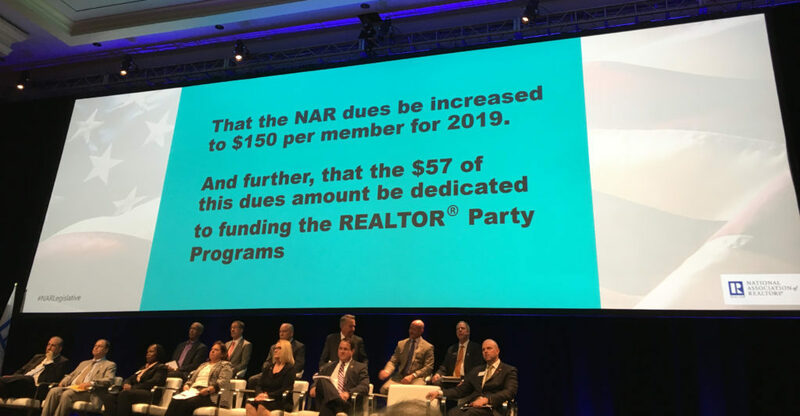 After a short debate, NAR’s board of directors approved a proposed $30 increase in annual dues for 2019, a 25 percent jump from $120 to $150 per year and an additional $39 million per year for the 1.3 million-member trade group. The 37,000-member Houston Association of Realtors, which had voiced its opposition to the increase in the weeks leading up to the vote, made a last-ditch attempt to refer the issue back to committee, but that motion failed. The dues increase passed with 80 percent of the vote: 623 in favor and 156 opposed. On Saturday, NAR’s board approved changes to the trade group’s professional standards that allow state and local associations to more frequently publish to their members the names of Realtor Code of Ethics violators and include photographs of the violators — if they want to. In addition, listing brokers will now also be required to provide written confirmation that they either have submitted a buyer’s offer to a seller or landlord, or that the seller or landlord has waived the obligation to have the listing broker present the buyer’s offer. NAR spent part of its annual midyear conference in Washington, D.C., reckoning with a dark past — one of exclusion and racism. Then members of the trade association called on NAR in a letter to honor a promise of fair housing and dump its financial support of California Congressman Dana Rohrabacher after he voiced opposition to a congressional bill that would add sexual orientation and gender identity to the Fair Housing Act, which NAR’s own code of ethics already includes. NAR officially dropped Congressman Dana Rohrabacher, a Republican from Orange County, California, from its President’s Circle donation program. The program — which is reserved for members of the trade organization who donate a certain amount to political campaigns — is designed to make it easy for members to donate to the campaigns of select elected officials whom the organization has designated “Realtor Champions.” Up until this afternoon, Rohrabacher was one of those elected officials. Rohrabacher received $4,000 from the Realtors Political Action Committee (RPAC) — the political lobbying arm of NAR — back in January and has been a regular recipient of funds from the lobbying group since 1997, according to Federal Election Commission filings.